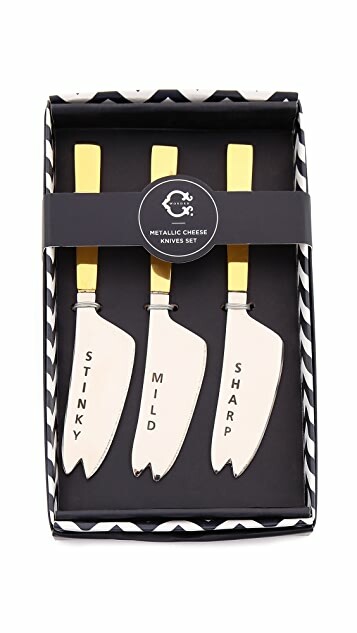 A set of 3 C. Wonder cheese knives with contrast handles. Jagged tips. Embossed lettering on each.